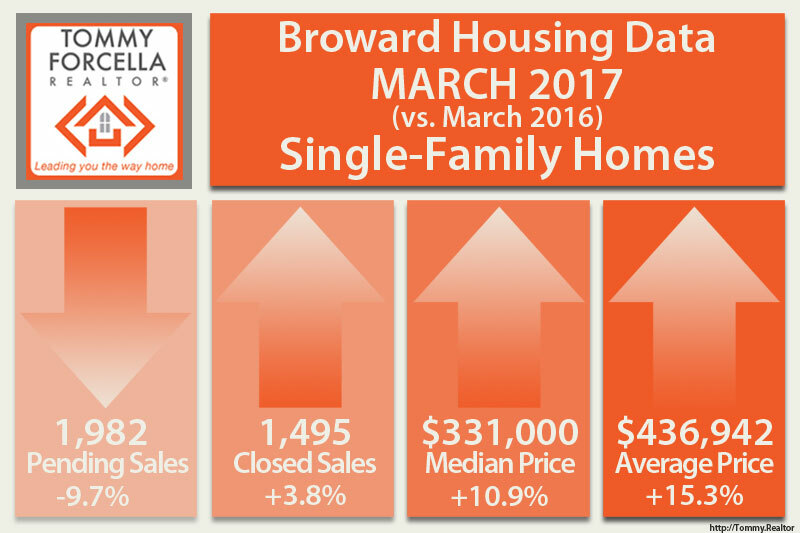 The single family home market continues to show steady increases in both Median and Average Prices. The continuing reduction in both short-sales & foreclosure properties drastically alters overall results. When only looking at traditional sales, Closes Sales increased by 19.3% over last year. Pending Sales (homes that went under contract in March) increased from 1,505 to 1,615 homes, and increase of 7.3%. 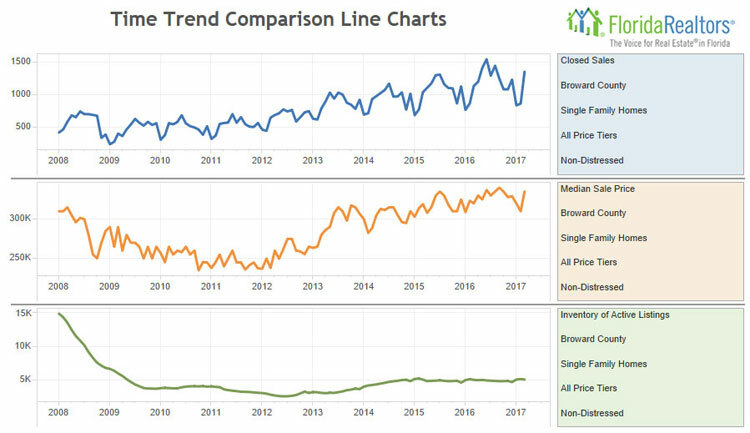 While overall Inventory levels for March 2017 are lower than last year, Non-Distressed inventory was on par with 2016 with 5,103 listings in 2017 compared to 5,066 listings in 2016. 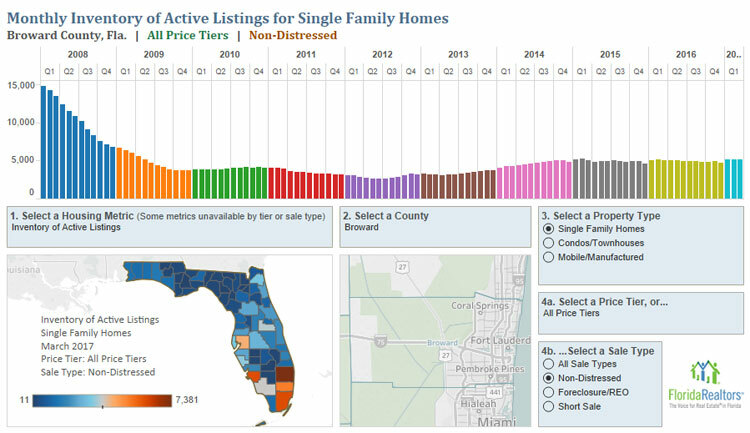 The largest reductions in inventory were for homes priced under $200,000. 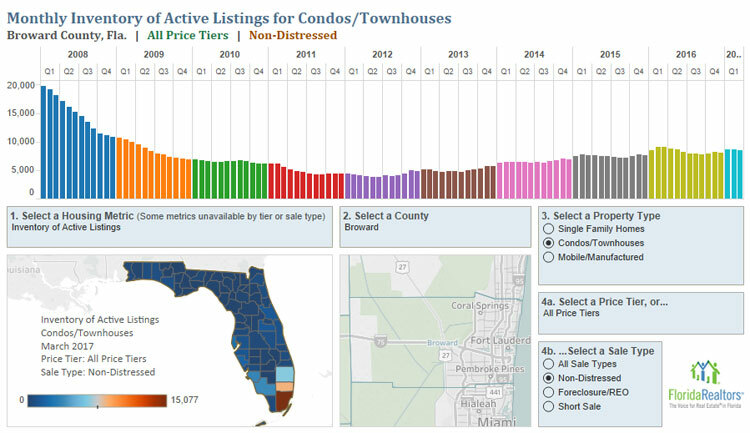 Only homes priced above $400,000 showed higher levels of inventory. The market for single family homes continues to favor Sellers, supported by a 3.8 month’s supply of inventory (5.5 months being the benchmark). However, as with all other matters involving real estate, the home’s location and neighborhood can favor buyers, such as is the case in Wilton Manors where homes have a higher average price and take longer to go under contract. The condominium and townhouse market show continued improvement, but are still suffering from lender’s financing requirements, lack of down payments for first time buyers, and reduction in investor purchases. Traditional closed sales increased by 12.2% over March 2016. Pending sales increase from 1,581 units to 1,843, an increase of 16.6%. 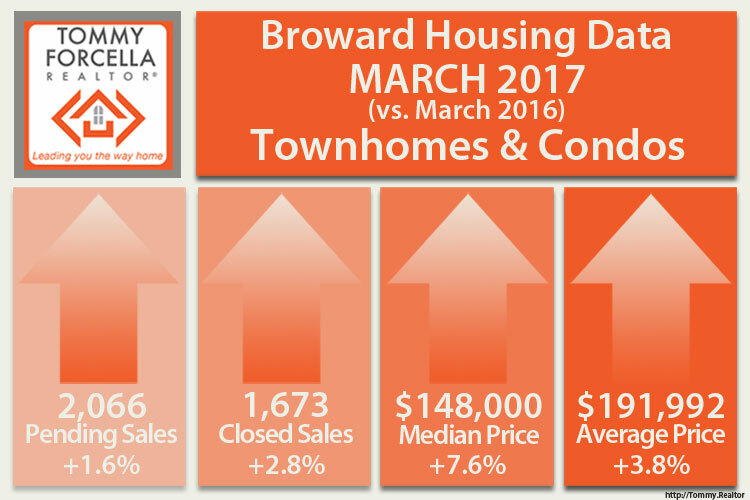 Inventory levels for condos & townhouses priced above $200,000 have all increased over March 2016. 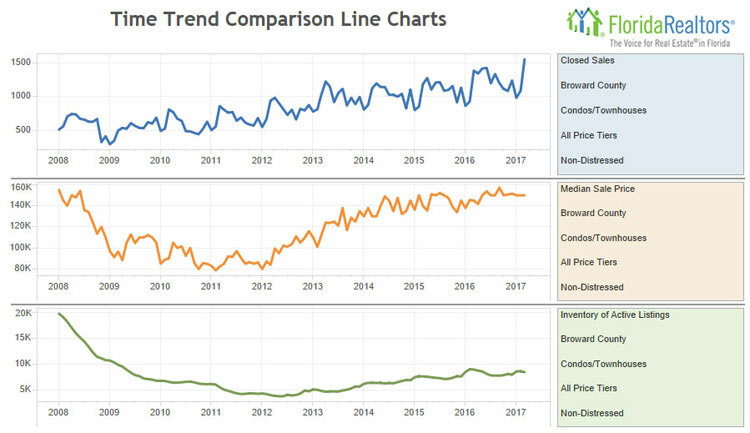 The highest increase was for property priced between $300,000 and $400,000, which had an 11.4% increase in available property. It is a seller’s market across the board. Notes: Statistics for each month are compiled from MLS feeds on the 15th day of the following month. Data released on Friday, April 21, 2017.